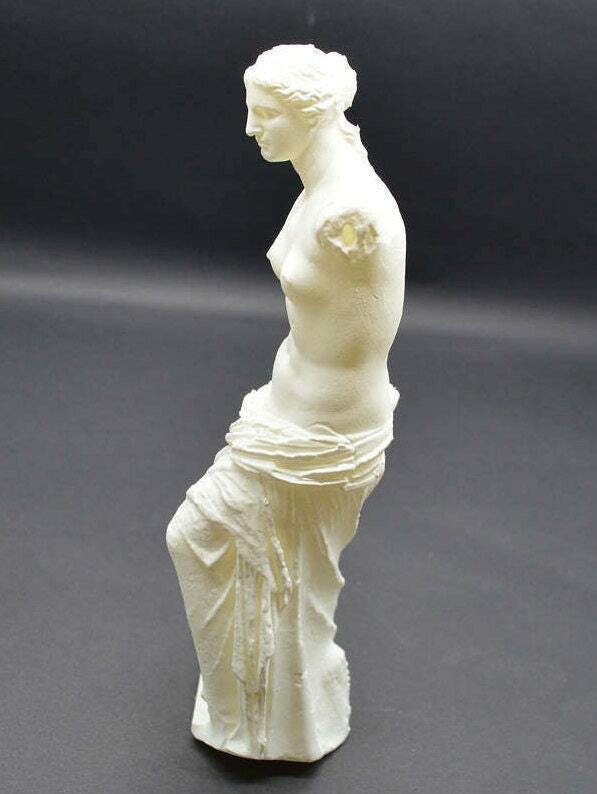 This 3D printed replica of Aphrodite of Milos, better known as the Venus de Milo, is an ancient Greek statue and one of the most famous works of ancient Greek sculpture. 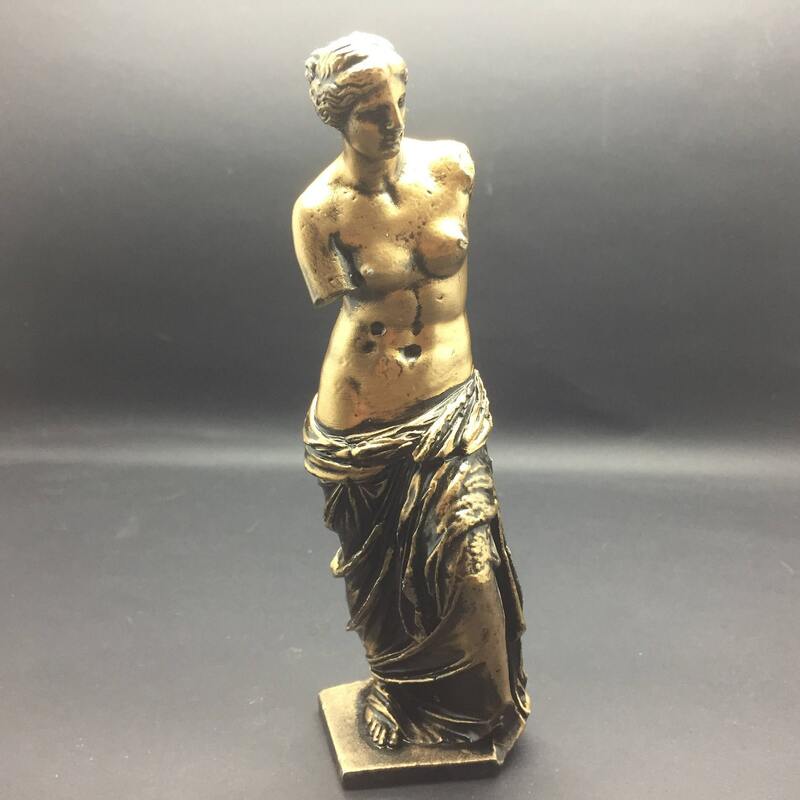 Created sometime between 130 and 100 BCE, it is believed to depict Aphrodite, the Greek goddess of love and beauty (Venus to the Romans). It is a marble sculpture, slightly larger than life size at 203 cm (6 ft 8 in) high. Part of an arm and the original plinth were lost following its discovery. From an inscription that was on its plinth, it is thought to be the work of Alexandros of Antioch; earlier, it was mistakenly attributed to the master sculptor Praxiteles. It is currently on permanent display at the Louvre Museum in Paris. The statue is named after the Greek island of Milos, where it was discovered. The detail of this model is truly breathtaking, in that it perfectly captures the texture of her tunic as well as the plaster from which she was cast. 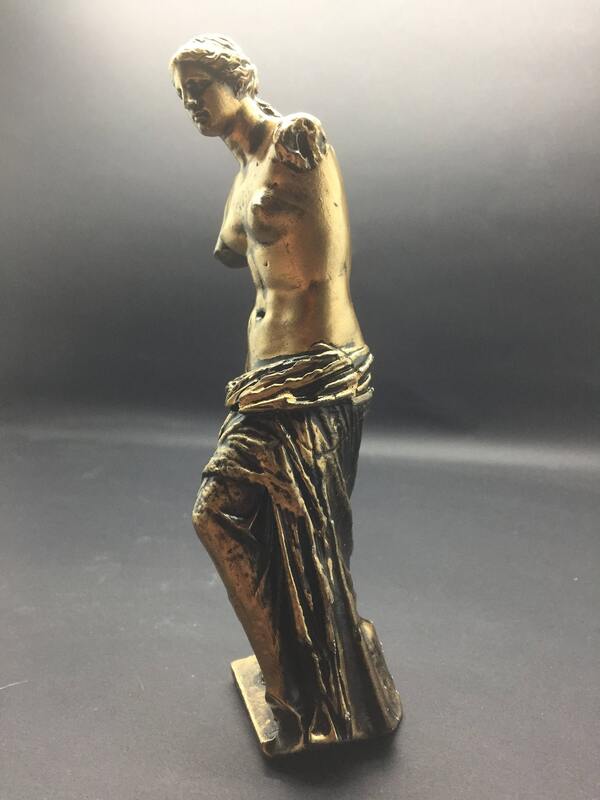 The damage on the original statue is preserved, and it shows the condition of the of the sculpture more accurately than many current reproductions. The gaps between the upper and lower blocks, the damage to the plinth, the under-cutting beneath the left ankle for the remainder of the (now missing) plinth and the attachment holes in the left ankle, below the right breast and on the upper right arm -- many casual observers wouldn't notice these details, but for students of Greek art, these are important things. She stands 6 inches tall, about 2 inches wide, and 2 inches deep. If you'd like a larger model hit the "request custom order" and I'll work up a quote to your specifications. 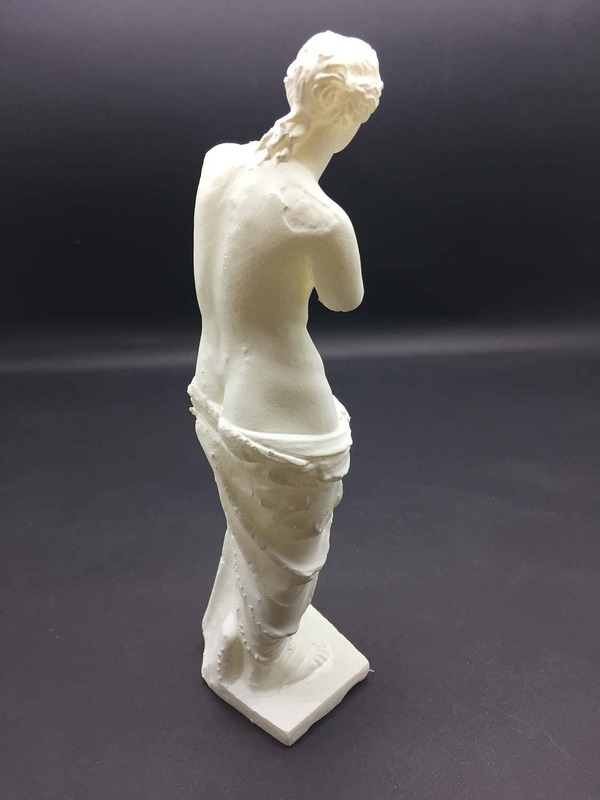 This is printed on a laser resin printer, and is by far the most detailed print I offer to date. Unfortunately, the resin the printer uses is only available in White, Black, Grey, and Clear. This is a hollow model, and will likely shatter if dropped on a hard surface. Please note, this work is in no way affiliated to SMK Museum nor the Louvre Museum in Paris. 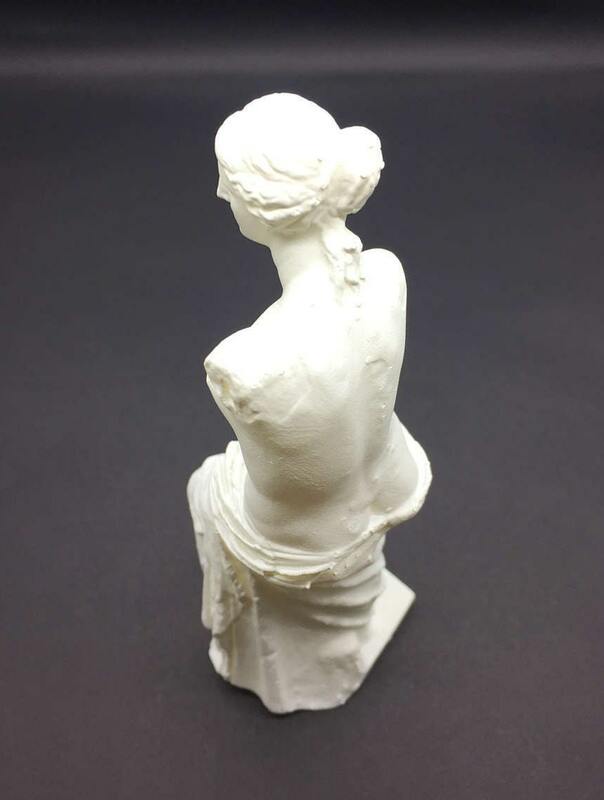 You are paying for the 3D printing service I provide in duplicating a model found on thingiverse.